However, in reality, nothing is ever absolutely perfect. Things often go wrong, and we face many challenges at various points in our lives. Nobody likes to deal with obstacles and unpleasant situations. Whenever we find ourselves in a negative situation, we wish to get out of it as soon as possible. When you are dealing with a difficult situation, it can be hard to look for solutions or maintain a positive mindset. However, when you try to be more grateful for such situations, it becomes easier for you to get over them. Your appreciation for all the great things in your life increases and you cherish all your happy moments to the fullest. 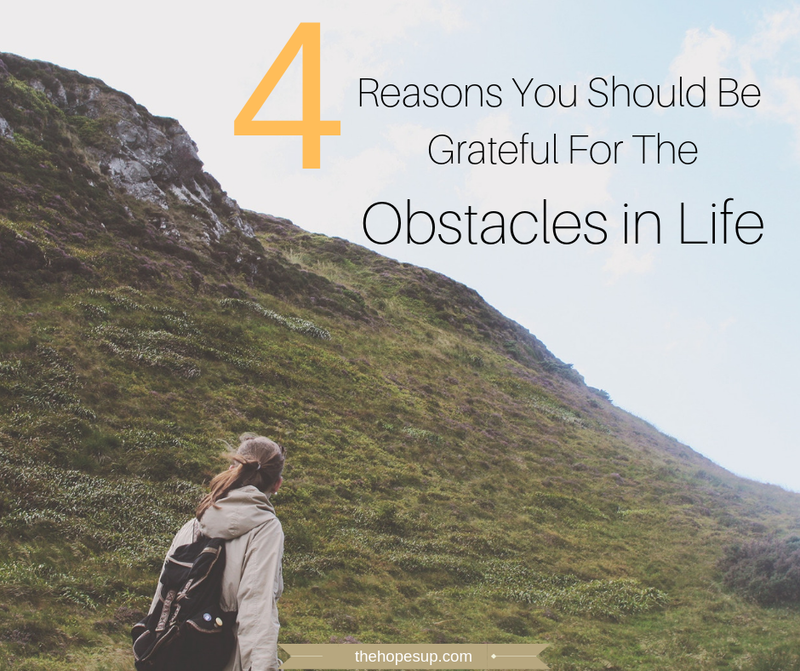 The following list will help you to feel grateful for the difficult situations in your life and come out stronger. 1. Obstacles make you more resilient. Every challenge that you overcome in your life teaches you many valuable lessons and makes you stronger and wiser. You become better at accepting the fact that difficult situations are an inevitable part of our lives. And, at the same time, you learn to be hopeful and look beyond the tough times. Even though the challenges you face in your life hurt you and make you feel sad and miserable, when you feel grateful for the obstacles, you learn to look on the bright side of things. You learn to have faith in your abilities. You become aware of your strength and resilience. You realize that you are capable of overcoming every challenge you face in your way. Even when a difficult situation may feel impossible to handle, you get past it, because you actually believe that you can indeed become stronger by overcoming your fears. 2. Obstacles give you the opportunity to reflect on your values and beliefs. When nothing goes right, and you feel absolutely overwhelmed with everything in your life, you get the opportunity to take a step back and reflect on your approach towards life. Obstacles wake you up and give you the opportunity to assess your beliefs, get a new perspective and try a better approach to deal with difficult situations. You open yourself up to make worthwhile changes in various aspects of your life and you start to look at life differently. You examine your existing habits and beliefs and figure out what works in your favor and what doesn't. As a result, you become able to get out of your comfort zone, remove your limiting beliefs and embrace better ways of overcoming challenges in your life. 3. You become more empathetic. When you acknowledge the fact that everyone has to face such obstacles, it becomes easier for you to understand other people better, and support them during their tough times. Also, cultivating empathy enables you to be more compassionate and forgiving. It helps you to connect with others in a better way, and as a result, you build genuine relationships with people around you. 4. You learn to take responsibility for your life. In the midst of a challenging situation, you come to the realization that you need to take complete responsibility for your own happiness. You can't depend on anyone else to fix things for you and make your situation better. By taking responsibility for your life, you use your inherent strength to steer your life in the right direction. Instead of feeling overwhelmed with obstacles, blaming others or making excuses, you stay calm and try to make the best of a bad situation. Obstacles can always be overcome, no matter how big or daunting they might seem. Believe in yourself, treat every challenge as a learning experience, and you will be able to get through the tough times in your life and achieve all of your goals. What are your thoughts on this? How can a person cope with difficult situations in life? Share your ideas with me in the comments below. And, if you found this post helpful, don't forget to share it!